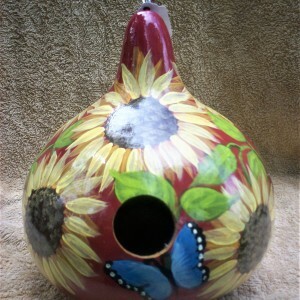 Handmade, Hand painted and crafted by a North Carolina Crafter. 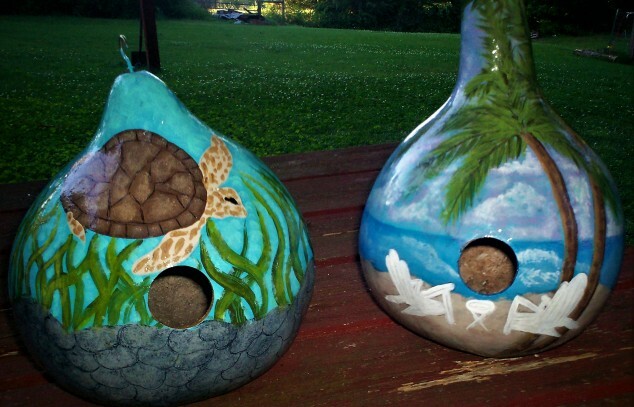 Hand painted gourd birdhouses, wine bottles, and many more crafted items, created from the hands of a North Carolina crafter. The sky is the limit when you allow your mind to follow ideas of creativity.